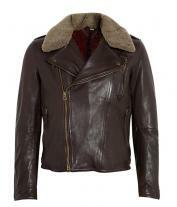 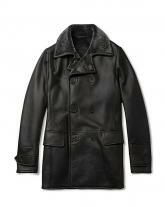 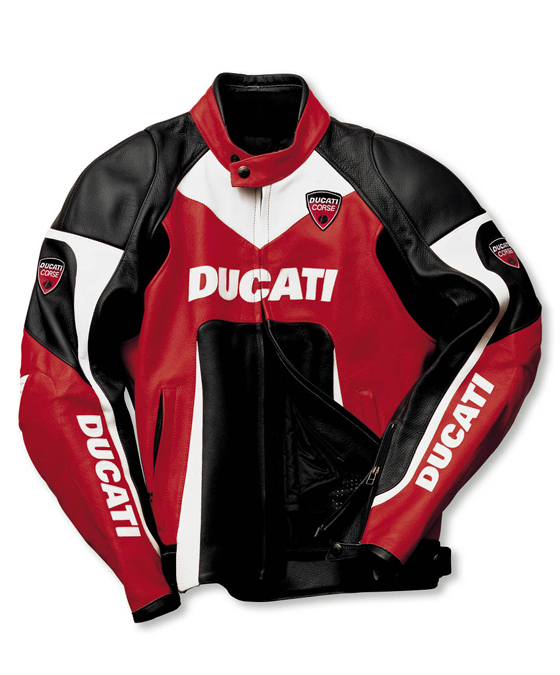 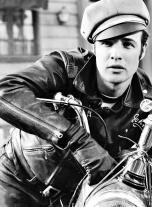 This modish Ducati leather jacket has a uniqueness which is surely worth flaunting. 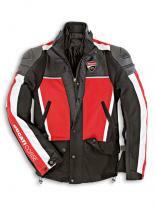 Stylish red front closure has a distinct v shaped panel placed just under the red round stand up collar. 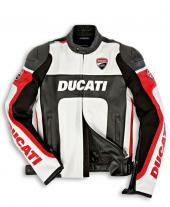 The long sleeves are styled with black, red and white patch giving it a perfect sporty look. 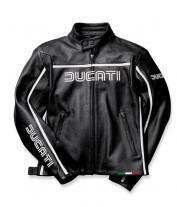 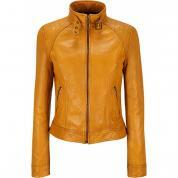 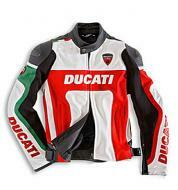 Concealed front zip closure is beautifully highlighted with Ducati logo. -	Red front closure with V shaped panel below the neckline.